With the release of the Kanger Subtank and the Aspire Atlantis, the term “sub-ohm vaping” is flooding the Internet and social media. Vaping technology is advancing at a rapid pace, and many of us have a tough time keeping up with all the new jargon. But what is sub-ohm vaping exactly? Do you need to buy specially designed tanks? Can you use your existing devices? Why would anyone want to sub ohm vape in the first place? 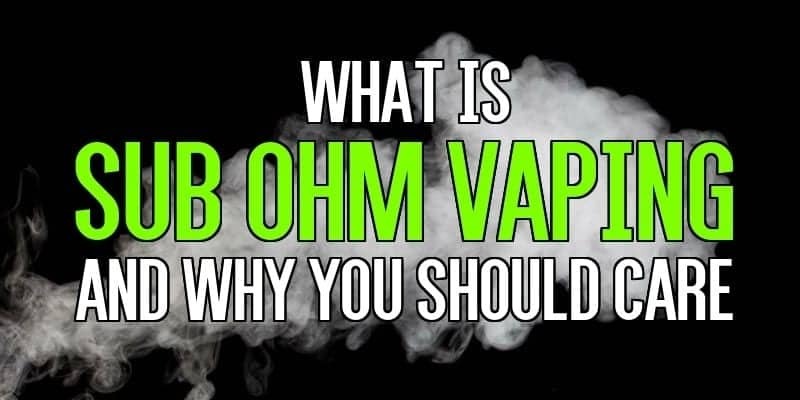 Is Ohm's law important in Vaping? Well, if you are a fan of both huge cloud production and the biggest burst flavor possible for your favorite e-juices, sub-ohm vaping might be for you. The ohm is the standard unit of electrical resistance in the SI System of Units. Higher the Ohm rating, the higher the resistance your atty has. The power which is passed from your battery to the tip of your tank is inversely proportional to the resistance of your atty. If you like a smooth hit, which is neither too hot, nor too cold, then you should opt for higher resistance. These charts should help you find THAT sweet spot. As the name implies, sub-ohm vaping deals with electricity, and this is not a subject that should be taken lightly. A traditional tank atomizer or cartomizer has a range of about 1.5 to 2.8 ohms. With sub-ohm vaping, atomizer coils or series of coils, with a total measurable resistance that is less than 1.0 ohm, are used. According to the laws of science (Ohm’s Law), a non-variable voltage source (like the battery in a Mechanical Mod) can produce more power (wattage) by lowering the resistance (ohms) of a circuit. So, using a lower ohm atomizer coil will result in bigger clouds, hotter vapor, and an intensified flavor. 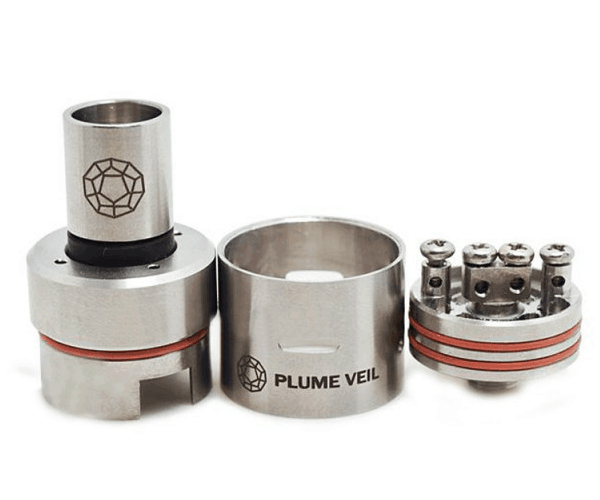 Previously, to vape at sub ohm levels you would have to use a rebuildable atomizer to build your own coils. Now that sub-ohm tanks have arrived to market, consumers can now vape at such levels without having to resort to DIY. The basic concept behind these tanks is to attempt to duplicate the effects of rebuildable dripping atomizer without all the hassle. What Is Involved with Sub-Ohm Vaping? 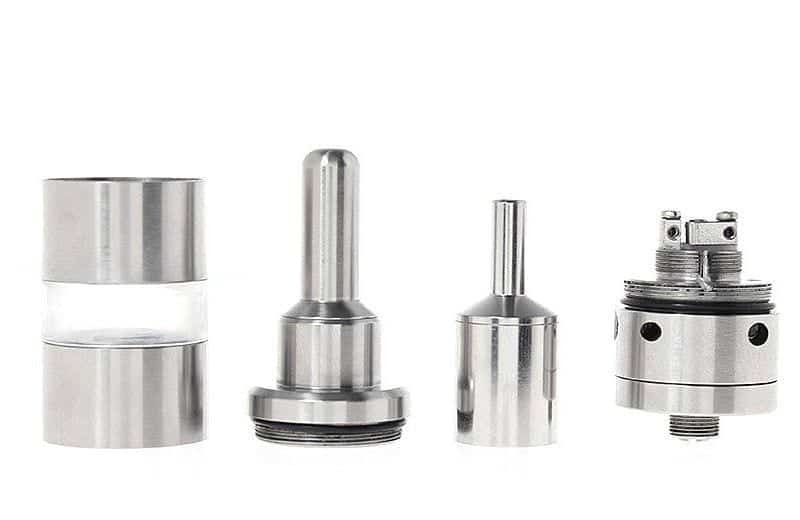 Before the sub-ohm tank craze, to vape at such levels vapers had to use rebuildable atomizers. This allowed them to construct their own coils out of a wicking material, such as cotton, and kanthal wire. They would then use an unregulated mechanical mod, with an 18650 battery inside, to power and heat the atomizer coil. Of course, if the do-it-yourself builder wasn’t an expert in Ohm’s Law, then this could sometimes lead to some very catastrophic results. Make sure to read our safety tips if you plan to use a mechanical mod and a sub ohm atomizer. Now, instead of using m﻿echanical mods and rebuildable atomizers, many vapers are using regulated box mods and sub ohm tanks to enjoy their vaping at those levels. The latter combination tends to be a safer option, because regulated mods have restrictions that prevent them from firing an atomizer with too low of a resistance. Before the release of the Aspire Atlantis and other sub-ohm tanks, RDA’s were the only method available to vapers. RDA’s are also called drippers, and we can use them with almost any Mechanical or Box Mod. This method is for people who want to avoid dripping completely but who still want to build their own coils. RBA’s are basically clearomizers that require the user to build the coil or coils inside. The great thing about this option is that users can custom design any coil imaginable to produce the precise vaping experience that they want. This method is likely the perfect choice for first-timer vapers. They work very much like an RBA, but these use pre-made, disposable coils that can be purchased from the manufacturer. 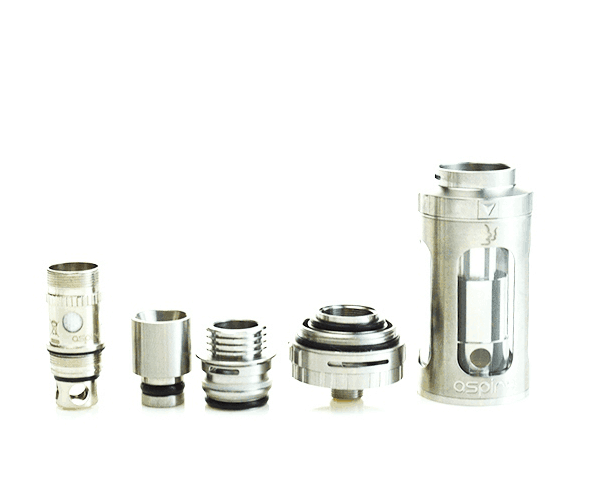 Some tanks have optional RBA heads so users can choose to either build their own coils or use pre-built coil heads. This technology is the basis of the Kanger Subtank and the Atlantis Aspire, among many others (Check out our article “Best Sub-ohm Tanks” for more information). If Sub-Ohm Vaping is so Great, Why Isn’t EVERYONE Doing It? ​There are always going to be pro’s and con’s with any new technology. Many vapers buy their very first vape kit and stick with it for years. Others like to experiment and try new things. Bigger clouds: Not everyone has the urge to blow massive plumes of vapor that are bigger and thicker than their neighbor’s, but if cloud chasing is something that you’re into, this technology might be something worth trying. Hotter vapor: The higher wattage creates a warmer, hotter vapor. This hotter vapor is why the RDA’s, RBA’s, and sub-ohm tanks have the airflow controls that cool the e-juice slightly so that it won’t burn the lips of the user. Many vapers prefer the hotter vapor because it simulates the effects of smoking traditional tobacco cigarettes. More intense flavor: Steeping e-juices takes a great deal of time, in most cases. And leaving those tiny bottles lying around in closets and refrigerator shelves is very dangerous, especially for homes with small children. Because the e-liquids burn hotter, they also taste fuller, richer, and more intense. Many vapers who try these methods often say that they will never again go back to the high-resistance, ceramic fiber clearomizers ever again. Mouth-to-Lung Hitters: Sub-ohm vaping tends to give the user a massive lung hit of vapor. This extra “kick” is a feature than many enthusiasts simply love. Others in the vaping community call these people “Mouth-to-lungers.” Newbies to the technology might be a bit surprised at first. Hard to Hide: The massive plumes of smoke and intense aroma produced from such tanks draws a lot of extra attention from those around you. If you are trying to sneak a vape at the office, it’s going to be much tougher to hide. For the stealthier vaper, this might not be the best choice of tank. Juice Monsters: It takes a lot of juice to make those massive clouds. For those just entering the world of sub-ohm vaping, don’t be surprised if you start going through e-juice like crazy. If you are vaping-on-a-budget, then this technique may not be your best choice. On a more positive note, vapers who use this technology also tend to prefer lower nicotine levels in their e-liquids of perhaps 6mg or less, which can save you a little money. Some even opt for the zero-nic options. The bigger blast of vapor means a bigger blast of nicotine. Still not sure about sub ohm tanks? Give "Is Sub Ohm Tank Right for You?" a read. The new tanks on the market are very safe and reliable, but first-timers should always take the time to read the included instructions very carefully. Remember, we are essentially increasing the power of the electrical device that you will soon be holding up to your lips. Always be sure to use the proper batteries indicated on the package, and never exceed the recommended amperage of the batteries, as well. You read this article because you wanted to know "What is sub ohm vaping?" and I hope I have answered your question. For complete information on the entire subject of vaping, check out our Vaping 101 guide. If not just leave a comment below and remember to vape responsibly at all times, especially when sub-ohm vaping.​ Do consider watching this video if you like visuals rather than text. Best way to get around the increased cost of ejuice is to make your own. PG and VG are pretty easy to find for $13ish per liter, or $25 per gallon. The cost of flavoring runs between $5 and $8 for 4oz bottles, or $13.50 and $22 for 16oz bottles from the supplier I use. The same supplier has quite reasonable prices for nicotine solution, depending on strength and carries it in a variety of VG/PG ratios. I use 100mg/ml, in 100%vg, because I prefer max VG ejuice. All in all, it costs me less than $15 per 473ml batch. I generally use pint canning jars, with plastic lids because they are glass, have wide mouths, and I can top them with cheesecloth held in place with the metal canning rings periodically for steeping. I also use 60ml syringes to bottle it and the wide mouth makes it really easy to get the syringe into the jar. I would note that even if my supplier sold pure nicotine I wouldn’t use it. Yes, it would be a little bit cheaper, but it would require mixing my own solution to make it safe to work with. I pay $15 for a 120ml bottle of 100mg/ml, which is easier and safer to work with. Hey duwaye Where do you buy your supplies at? Thanks for all the information, very useful. VC is definitely my favorite vaping site. I am interested for a different reason. I want larger tanks, and better quality coils. It is inconvient to have to constantly test for OHM, and if close, use to poor quality or restricted air comes, and rebuild. The larger Kanger tanks don’t promote coil life and are actually more expensive than the 4.5 or larger subohm tanks. Background reasoning stated, My question is will the Kanger, Cloupor Z4, Anyvape Fury, or Kayfun, improve my experience at 1.2 to 2.00 on a 30 watt box. I use the vv/vw box to extend the life of a coil when anything less than the 3100 ego-t or 2200 Nego-Twist will not product enough power. Before you comment subohm smoke can be controlled, two points – 30 watt limit, and don’t want heavy clouds. I’m confused as to what your asking. My concern is with the increased airllow, which can be cut back, and the larger juice ports which may need the higher voltage and might flood at my normal range of 9 to 12 WATTS. Sorry the first time it sounded like a rant. Oh, an RBA head inside a sub ohm tank. Yes, you can use higher resistance coils inside it but that may not work that well because of the large amount of airflow. Most tanks do have adjustable airflow but they can’t usually get as tight as a Nautilus or something similar. The large wicking holes could also be a problem. I really don’t think your going to want to build much over 1.0ohm on a sub-ohm tank. However, I have not tried it and it will depend on the tank. thanks for reply, it was helpful. I currently use geni, kwx, and aerotank, and can use them up to about 10 or 11 watts. above this, it appears they fail faster. It has forced me to learn to rebuild. However I still do not like the big clouds, messes up my computers, and irrates those around me. It actually fogs my glasses. I may go with the Kanger , they do have a 1.2 ohm, probably not to hard to rebuild. If they do not have a decent life span, they would get expensive. If you know of any other tanks that operate in the 9-12 range please let me know. My favorite non-sub ohm tank is still the Aspire Nautilus, I still use mine all the time. It’s prefect at 9-12 watts. how do you know when juice has goon bad ? i had some blue berry that was siting around for two years when i made the mistake going back to cig’s and i just vaped it and it was fine rather good like it fomented like wine ? I think most people agree that ejuice will probably go bad after 2 years. However, what “bad” means is up for debate. The nicotine has probably lost some potency but other than that I don’t really know what happens to ejuice after sitting for years. Wow I had no idea that juice could last up to 2 years Nathan, I feel like I wouldn’t trust it after that long.